Larry Raymond is one of our strategic alliance partners. 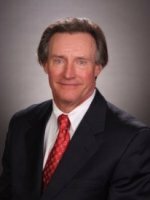 He is the President of Alliance Benefits Group of Michigan and is our corporate retirement plan expert. Mr. Raymond’s focus in on qualified and non-qualified retirement plans, and on the transfer of business & wealth to future generations. He is also the former President of the AALU (Association for Advanced Life Underwriting). Mr. Raymond is both a Certified Financial Planner® and a Certified Pension Consultant. He brings a wealth of experience and expertise to the Harvest Wealth Advisors team.